DLSS isn't restricted to 4K in BF5? Also you keep confusing Tensor cores with RT cores. Tensor does DLSS, DLSS does not "cut frame-rate by half" RT cores do RTX/DXR - that does cut framerate. 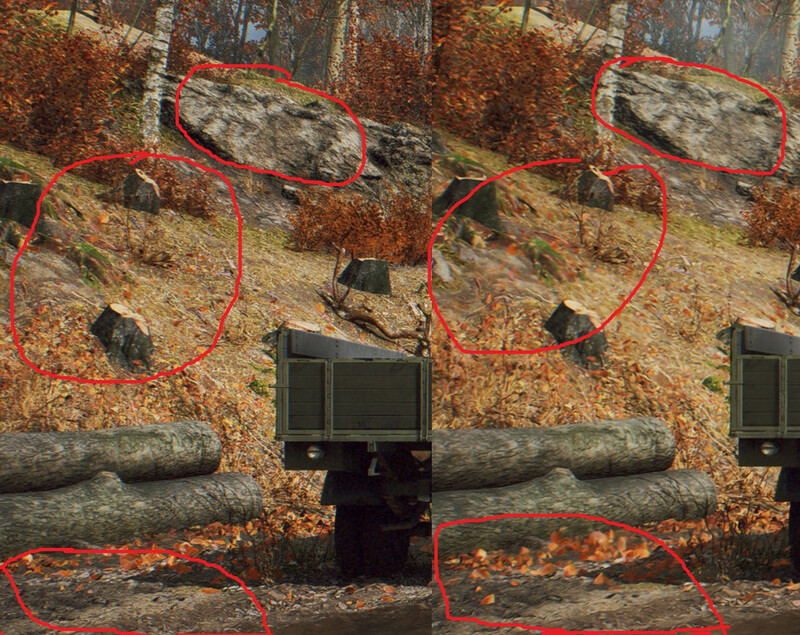 Nvidia intended Tensors to denoise the RT image but DICE doesn't use tensors at all for RT in BF5. My main complaint on DLSS is that if nVIdia chose to market it like "Better Quality at same Performance" and indeed Enabling DLSS in game resulted as Deep Learning Up-scaled image with much better quality without decreasing performance- That's Great and worth the $$, But using fancy Tech that Reduces Image Quality to Improve Performance? If I am note mistaken- this was called "Cheating" back in the days. Also Limiting the options of when and how you can use DLSS just proves my point. Well they specifically marketed as an improved TAA. If you go and read the Siggraph whitepaper/slide from 2017 on the early versions of DLSS (Convolutional Auto-Encoder) it was basically designed as a TAA variant that gets rid of the some of the TAA motion artifact issues. The thing about TAA though is that it's not a standard solution. Each dev integrates it differently with varying degrees of quality. FFXV for example has terrible TAA, same with Port Royal. DICE typically does a good job with their variant but they are also notorious for not allowing you to disable it. Further the issues with TAA are mostly motion issues so people comparing single frames of games aren't really looking for the things DLSS was supposed to solve in the first place. The limitations of how/when you can use DLSS is more of an intrinsic property of how DLSS training works then nefariousness by Nvidia. They spend weeks training each resolution and RTX On vs Off has to be done in separate training sessions. Should also point out that the training is ongoing and Nvidia says they'll be delivering DLSS updates to games via Experience. Also I don't think an option to turn something on that can potentially reduce quality for performance improvement is considered cheating. Thank for the info , I do hope that in coming months we gonna see better results. I am just worried that NV will go AI/DL route and claim FPS boost with the technology instead of improving the silicone (for example boosting performance between GTX 680/780/980/1080 ). We all know that bitmaps can not be enlarged arbitrarily, because even the most perfect filter can not extract/display sub-pixel information, because it has not been saved (it simply does not exist). The same applies to upscaling. You can create the illusion of sharpness at first glance, but no anti-aliasing technique will allow you to display details that have not been rendered due to the low resolution of the rendered frame. Perhaps it's worth checking whether, in general, using high resolution textures makes sense with DLSS enabled? Maybe smaller textures will not worsen the quality of the image and will boost fps? New anti-aliasing techniques are always welcomed, giving the user freedom of choice and flexibility. The issue is that DLSS requires dedicated hardware and is only supported by a single architecture(so far). you're basically paying in terms of thermals, die-size, transistors for DLSS. while still being 100% useful on all available games. Volta is essentially the same architecture as Turing and Titan V has significantly more CUDA cores than a 2080Ti yet performs identically (even when both are overclocked) because the entire architecture is essentially TDP limited. Regardless, Tensor 'cores' exist within the SM - they aren't discreet cores but operational modes of SM/ALUs - same as RT 'cores'. They add some negligible amount of die space but for the most part they reuse existing transistors within the SM. People keep alluding to the fact that they take up all this die space but no one has been able to explain to me how Nvidia managed to get the same CUDA/MM2 density as GP100, on the same process density, with double the cache, dispatch units and RT/Tensor that "take up a ton of space". Further AMD exposed INT4/8 for ML inferencing on Vega 7 presumably to support some type of GPUOpen variant of DLSS on DirectML - which they alluded to doing. DirectML support's tensors so even if there was a vendor agnostic standard it would still utilize the hardware. Going by the screenshots posted i think it looks better with DLSS off. Looks less detailed and slightly blurry with DLSS. Looks like the game is running in an inferior resolution than the native monitor resolution and upscaled with a good upscaler. No reason to do that if you are running an expensive 4k monitor. Might as well spend the extra money to get a 2080TI and run the game without DLSS. 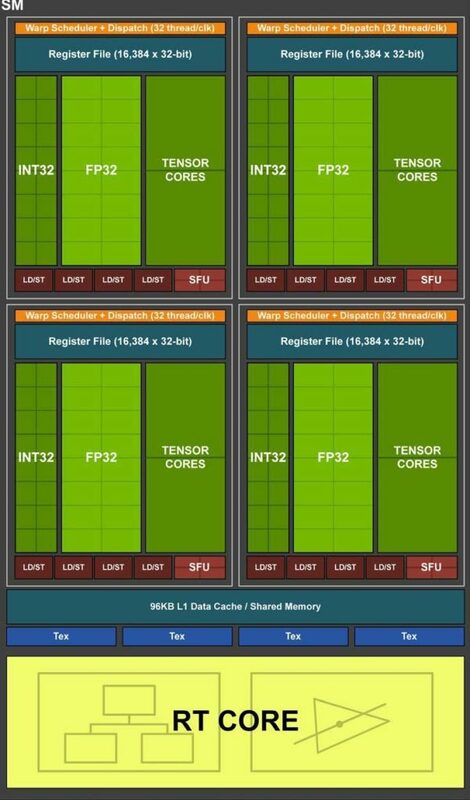 not sure where you got that info(nvidia didn't reveal much) but in their blog they clearly state that Tensor cores populate a decent amount out of the SMs while RT cores take additional die-space. Also a clear indication is that transistor count has grown between Pascal and Turing on the same CUDA count. Thanks for the update Hilbert. I don't buy this. Any feature that effectively lowers final output resolution, particularly of textures, just to lower processing cost/meet fps acceptability is a worrying trend. What's the point in developing high/"ultra" res textures (/later 'texture packs') in the first place? I'm sure the game artists will getting pretty pissed off. We see the same with the RT feature - scene RT complexity reduction to meet fps targets. I do wish Nvidia placed a higher weighting on their QA department than marketing...get your act together Nvidia!! I purchased a 1440p monitor for one primary reason - to be able to benefit from higher resolution, crisp graphics. I don't want the artists hard work smeared.